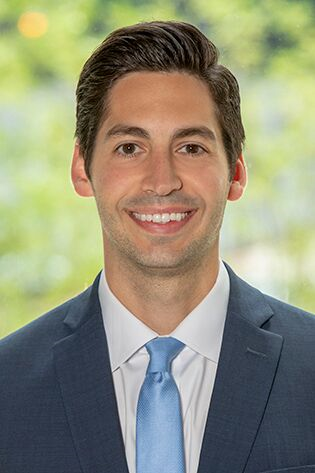 David joined Laner Muchin in 2017 as Of Counsel. He regularly litigates substantial-exposure and high-stakes employment litigation claims, including, but not limited to, discrimination, harassment, and retaliation claims, wage and hour lawsuits, and employment related torts, such as wrongful discharge, wrongful terminations, and other torts based on public policies exceptions to employment at-will before state and federal courts and, where applicable, before local, state and federal administrative agencies. Furthermore, David provides strategic advice on a broad range of employment issues. He also provides training on behalf of employers on best practices to avoid grievances, charges, and lawsuits related to discrimination, harassment, and retaliation. Defends employers in employment discrimination, harassment, and retaliation lawsuits before state and federal courts. Defends employers in class action wage and hour lawsuits before state and federal courts. Defends employers in employment related torts, such as wrongful discharge, wrongful termination, and other torts based on public policy exceptions to employment at will before state and federal courts. Represents employers in unemployment hearings and appeals, unit clarification proceedings, and other administrative matters. Defends employers in investigations involving state and federal agencies, including the Equal Employment Opportunity Commission, state commissions, the U.S. Department of Labor, the U.S. Department of Justice, the Occupational Safety and Health Administration, and the U.S. Department of Health and Human Services; and negotiating conciliation agreements. Conducts corporate investigations on behalf of employers on a broad range of topics, including investigations of alleged harassment, retaliation, discrimination and other matters. Provides counseling to employers in all aspects of employment law, including, but not limited to, terminations, employment contracts, hiring, promotions, discipline, policies and procedures, employee handbooks, human resources, nondisclosure agreements, Heath Insurance Portability and Accountability Act, non-compete agreements, and unemployment hearings. Provides training on behalf of employers on best practices related to avoiding grievances, charges, and lawsuits related to employment discrimination, harassment, and retaliation.